Take this 8 question survey to assess your risk of being arrested for DUI in the next year. It’s illegal to have .08 breath alcohol, 5ng THC or be “affected by” either within 2 hrs of driving. 81% of adults would intervene to prevent a DUI if given a chance. Drivers who believe they are ok to drive after consuming a second drink are 4.5 times more likely to be DUI. 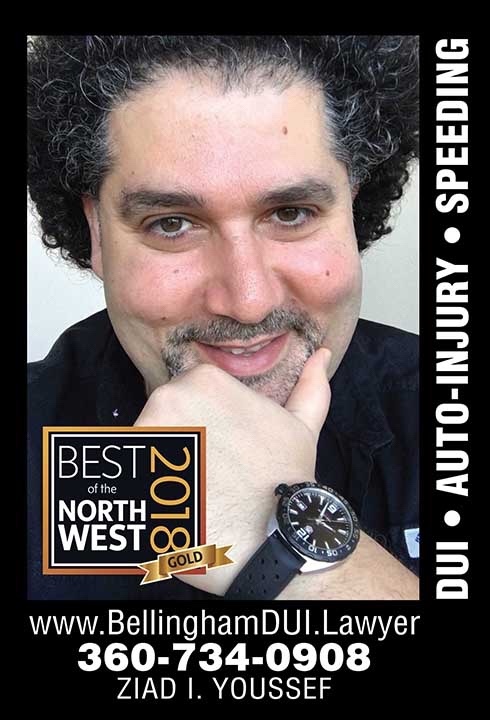 Voted best of the northwest by North Sound Life and Bellingham Alive magazine 2018, Ziad Youssef has been innovating in the legal care Space for over 15 years now.